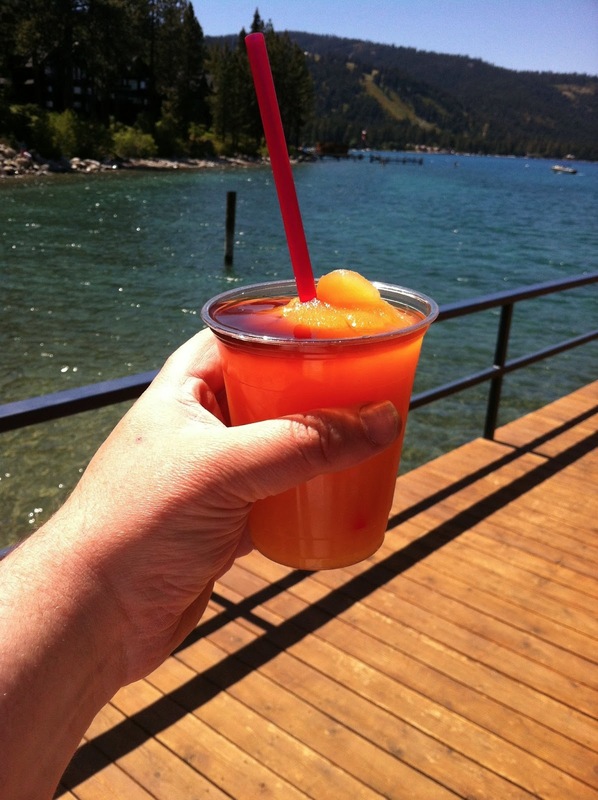 One can only imagine what kind of high octane swill goes into the rum punch served at the Chambers Landing Bar and Grill in Tahoma, California. All I know is that after just one ($12), I was dumb and/or drunk enough to jump into Lake Tahoe - a brisk 60ºF surface temperature. The following recipe merely attempts to approximate the drink, based on my extremely foggy memory. Two ounces of orange juice. Two ounces of cranberry juice. Splash of passion fruit juice. Two ounces of light rum. One ounce of dark rum. Fill a pint glass with ice. Pour in the fruit juices, light rum and tequila. Transfer to a large stainless steel cocktail mixer and blend with a stick blender until smooth. Transfer back into the pint glass and top with a shot of dark rum. Drink, and forget your troubles.